Satoshi Kon is highly celebrated for his four movies (Perfect Blue, Millenium Actress, Tokyo Godfathers, and Paprika) and one TV series (Paranoia Agent). Lesser known, but absolutely worth reading if you want to better understand his development as an artist, is his manga work. Kon had been writing manga for a full decade before he made his name in anime with the Magnetic Rose segment of Memories. Many of his manga projects were incomplete, which might explain how they fell out of print in Japan and were never officially translated into English until after his untimely death in 2010. But they showcase Kon's top-notch artistry, and the ideas they contain serve as stepping stones to the films that would make him famous. Kon burst onto the scene in 1984 with the two-part doujinshi Toriko - Prisoner, about kids forced into "rehab" in a dystopian society run by robot police. 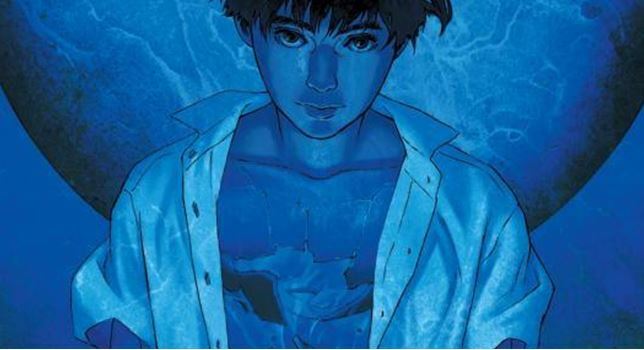 It won second place in Young Magazine's Tesuya Chiba Awards for new manga artists, which got the attention of none other than Katsuhiro Otomo. 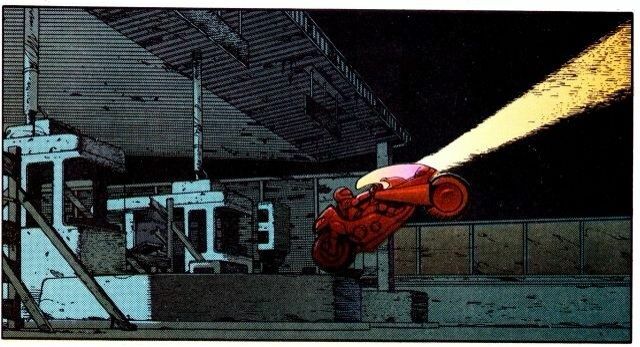 You don't just trust any college kid with helping you draw Akira, but Kon's artistic talent was clear right from the beginning, and was hired as an artist for the acclaimed series. Toriko as well as Kon's other short stories from between 1984 and 1989 can be found in the collected volume Dream Fossil. The stories in this collection jump between genres and styles, the sci-fi/fantasy sections generally being more exciting than the rather traditional slice of life segments. Kon's first ongoing series (it ran for seven chapters) was 1990's Tropic of the Sea. It's a rather atypical work for Kon, a low-key environmentalist fable which feels more like a Miyazaki work. Kon admitted to being stressed out during the rushed writing process, and disowned the work. It's certainly not his most memorable story. But it captures its seaside atmosphere nicely, and his art still stands out. 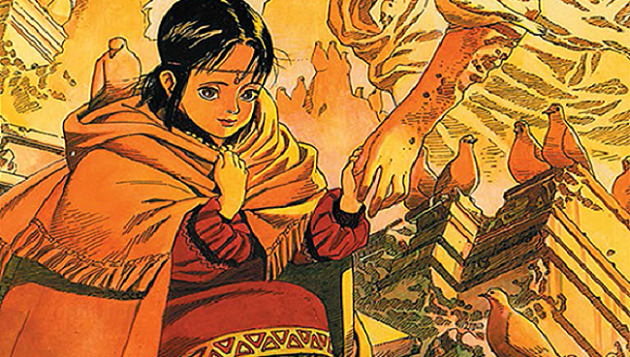 Working as Otomo's assistant gave Kon his first ties to the film and anime industry. Otomo adapted Kon's original story for the 1991 live-action film World Apartment Horror (the manga adaptation of which is the only Kon manga still not published in the US yet) and hired him as an animator on Roujin Z. Working as an animator on Patlabor 2 introduced him to Mamoru Oshii, with whom he'd work on his next and most ambitious manga project. In 1994, the anime magazine Animage had just finished publishing the Nausicaa manga and was looking for a replacement manga written by anime creators. Enter Seraphim, written by Oshii and drawn by Kon. Predating Evangelion but anticipating its blend of futuristic intrigue and Abrahamic religious symbolism, it takes place in a world ravaged by the "Angel Plague", which causes people to grow wings, see apocalyptic visions, and ultimately die. Three "Magi" are searching for a cure, amidst international conflicts and a militarized World Health Organization. Creative differences between Kon and Oshii as well as their increasing anime commitments led the manga to end on a cliffhanger before the story could be completed. 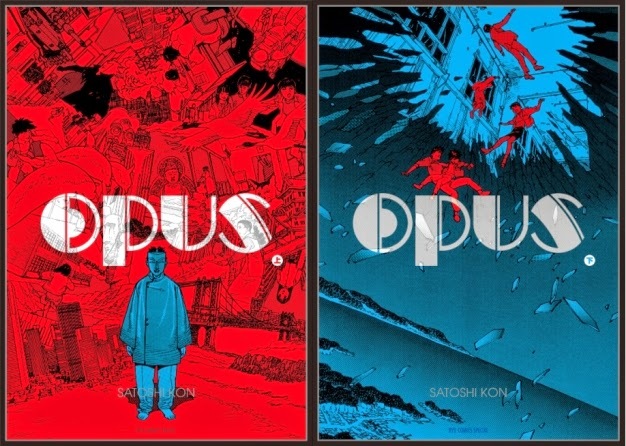 At the same time as he was drawing Seraphim, Kon had one final manga project that he held complete control over, and it's his most impressive one: the appropriately-named Opus. It tells the story of a mangaka (manga artist) who can't decide how to finish his masterwork and ends up magically sucked into the world of his own manga. It's the clearest precursor to his later works Millenium Actress and Paranoia Agent, stories which blur the line between reality and pop culture fantasy, and Kon at his most confident as a mangaka. Opus also ended on a cliffhanger (the graphic novel edition published by Dark Horse includes a rough draft of an intended ending). Given the subject matter, its lack of a real ending is oddly about as perfect an ending as it could have.